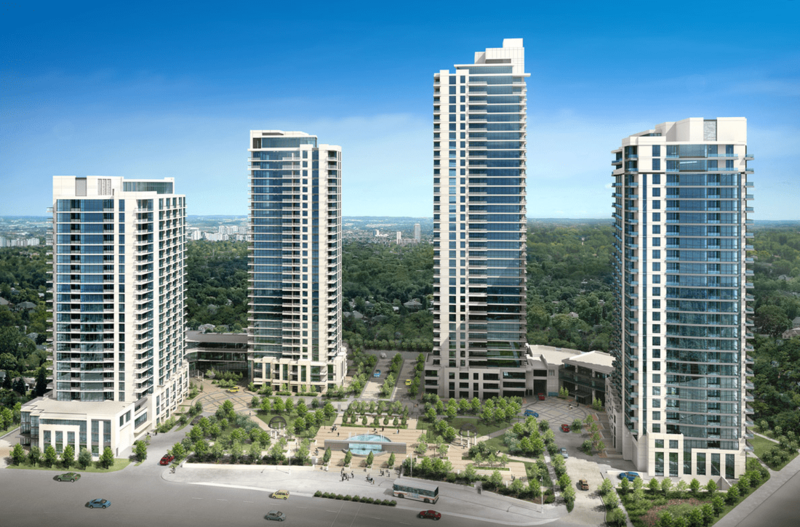 One Sherway Condos is Etobicoke’s best-selling condominium community, and is located at Evans Avenue and The West Mall, across from prestigious Sherway Gardens shopping mall. A full spectrum of purchasers from first-time buyers, to young professionals, families and empty-nesters find that One Sherway Condos is the perfect home for them. TTC service is at the doorstep, and the community is only minutes from downtown Toronto. Bloor West Village is a quick car or TTC ride away, the Gardiner Expressway is close by, and residents can ride their bikes to the trail system along the lake.